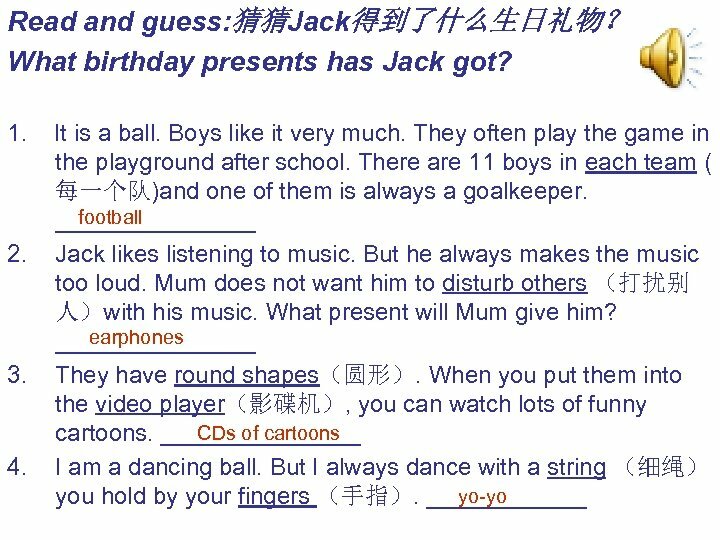 A game: Find the difference 游戏——找出不同点：看看现在这幅图，图中Jack的礼物位置与上一幅图有什么不同呢 ？找一找，小组合作写出来！ Look at Jack’s birthday presents. The now. His is __________ now, but it was _______ just on the chair on the ground on the bed on the desk are _______, but a moment ago they were_____. Now we can see his just now. near the bed on the school bag ______, but they were________ Where was the just now? It was _________. on the bed under the chair Now it is ________. Hello! Today is my birthday. I want to go to the park. I want to see the birds in the cage. I want to talk to the birds loudly. 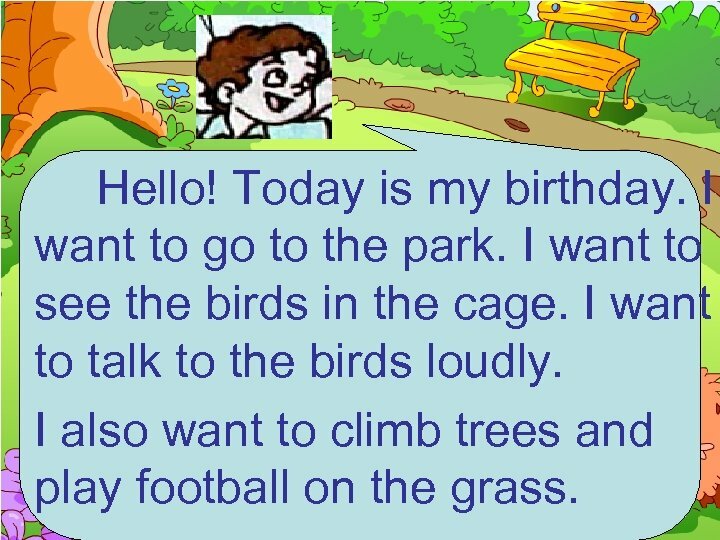 I also want to climb trees and play football on the grass. Thank you. 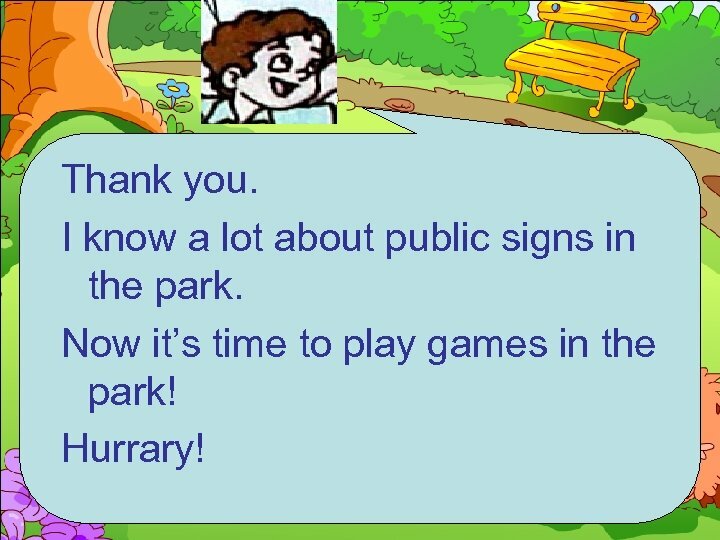 I know a lot about public signs in the park. Now it’s time to play games in the park! Hurrary! 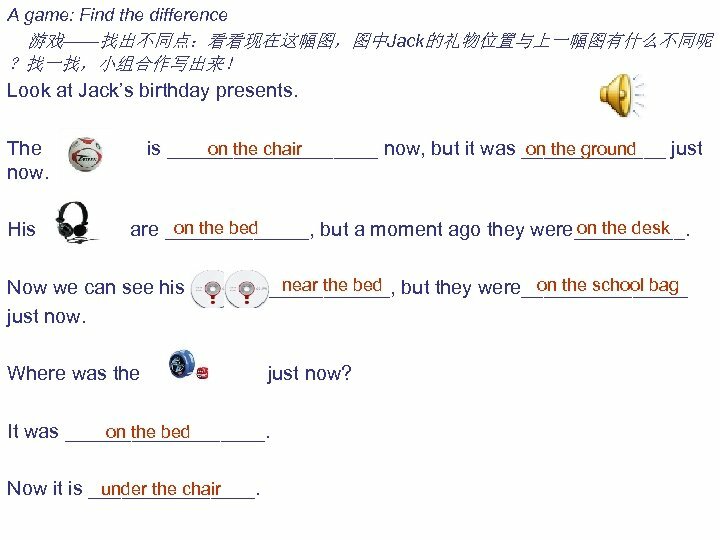 Writing 请根据今天复习课上所学内容帮助Jack完成日记 1、先完成你拿到的填空练习(Part 1或Part 2 ） 2、填完后和你的小组同伴一起把你们所填的短文拼成一篇完整的日记 October 30, 2008 Thursday cloudy and rainy Part 1 excited I was very _____. Because it’s my birthday. 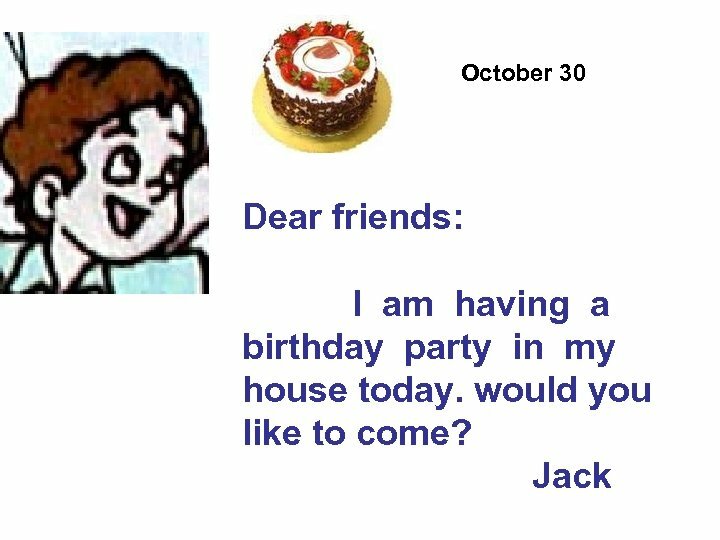 This morning I invited my friends to come to my birthday party. In the afternoon I had a party. My friends played games. 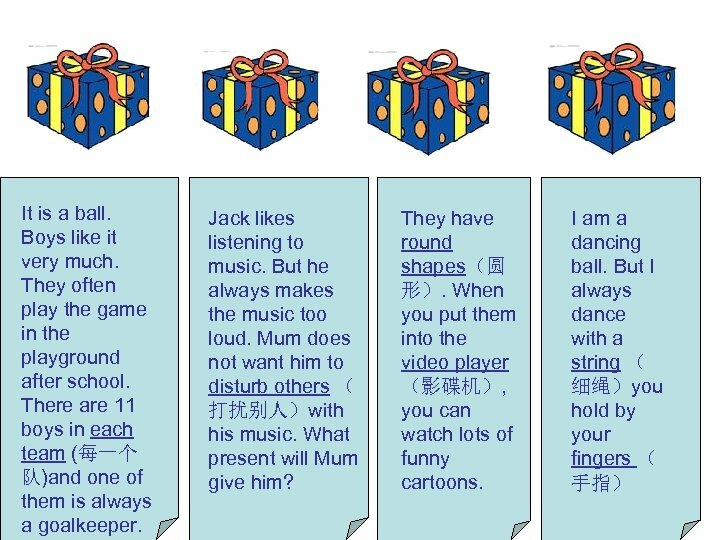 They hid all my presents away(把我的礼物都藏起来了). I was looking for them and kept saying(边找边说)： I want to listen to music. 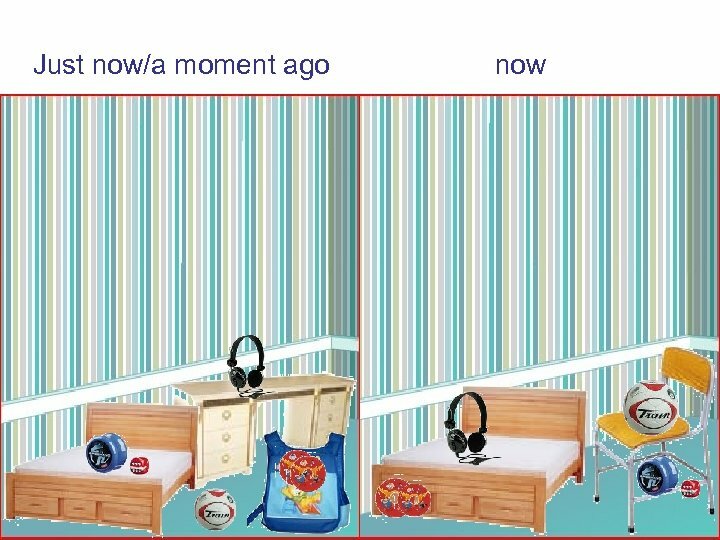 earphones were Where are my _____? They _____on the desk just now. And I also play is it want to _____with my new yo-yo. Where __________now? It _____on the bed a moment ago. Oh, no! Where are my presents? I was find can’t _____them! Part 2 At last I found all the things. 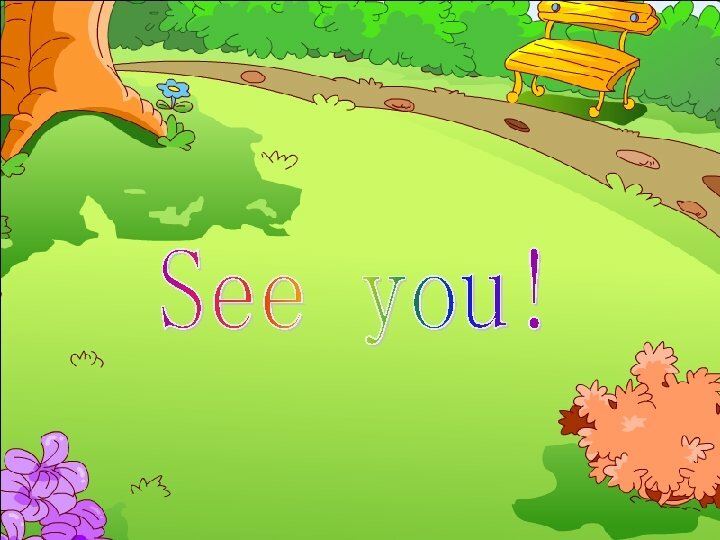 Then we went to the park together. In the park I wanted to talk to the birds loudly. 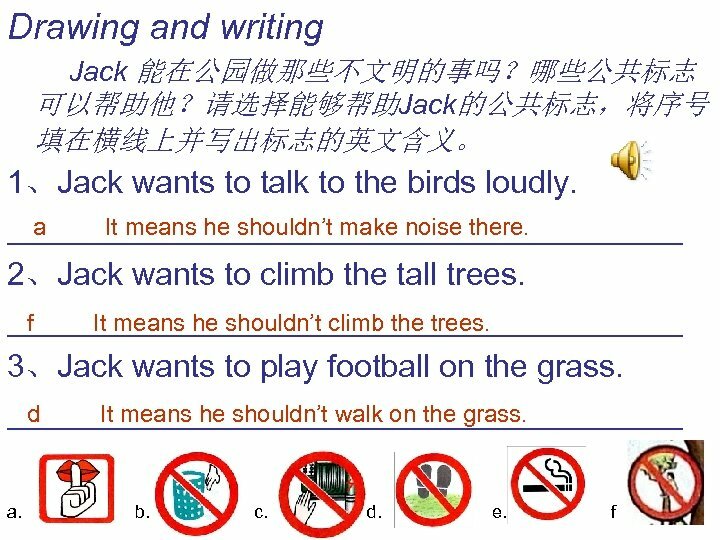 But my friends told（告诉）me that I make noise climb shouldn’t __________there. And we also can’t _____the trees. I took(带)my football and wanted to play football with my friends. But we didn’t play, because there’s some grass and feet on a sign. It means we should __________the grass. I learnt a lot from my friends and we had a keep off good time. Homework 1. 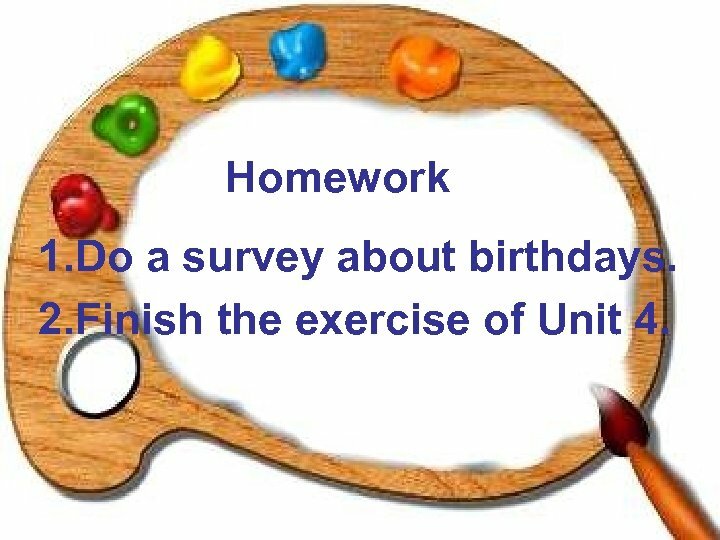 Do a survey about birthdays. 2. 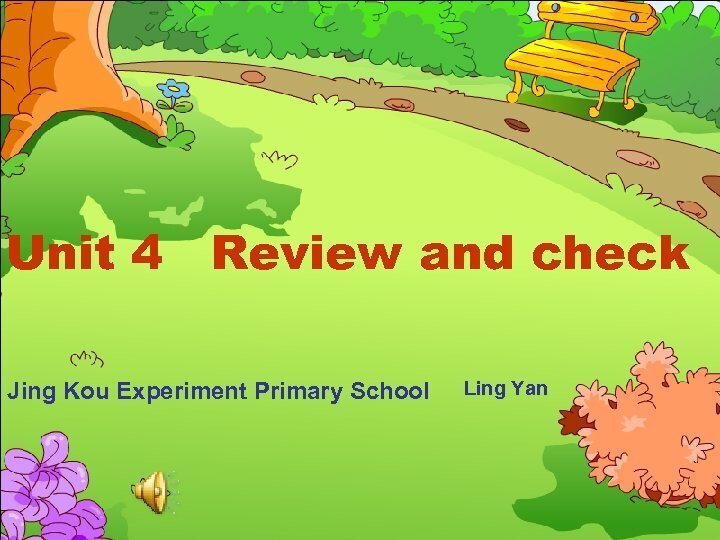 Finish the exercise of Unit 4.